If you are looking for an unobtrusive anchorage point to secure up to 3 individuals, simply attach this stainless steel anchor loop (Ø 5 mm) to a wooden beam. 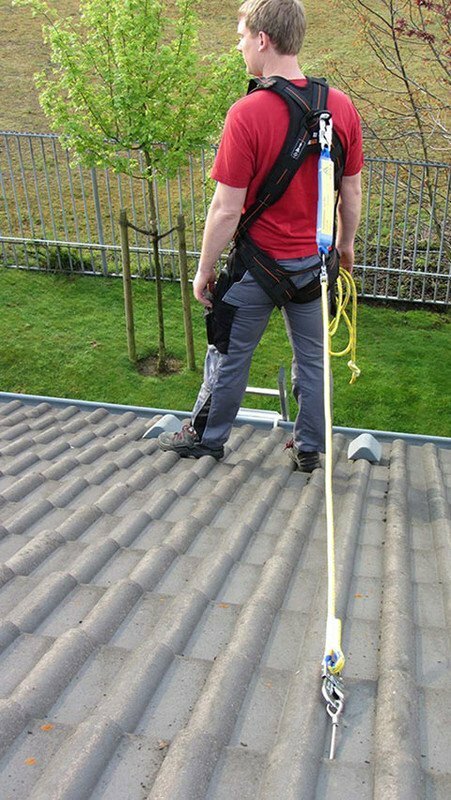 Once installed on a pitched roof, this anchorage device is virtually invisible. All you need for quick-and-easy installation are the 2 stainless steel screws provided. 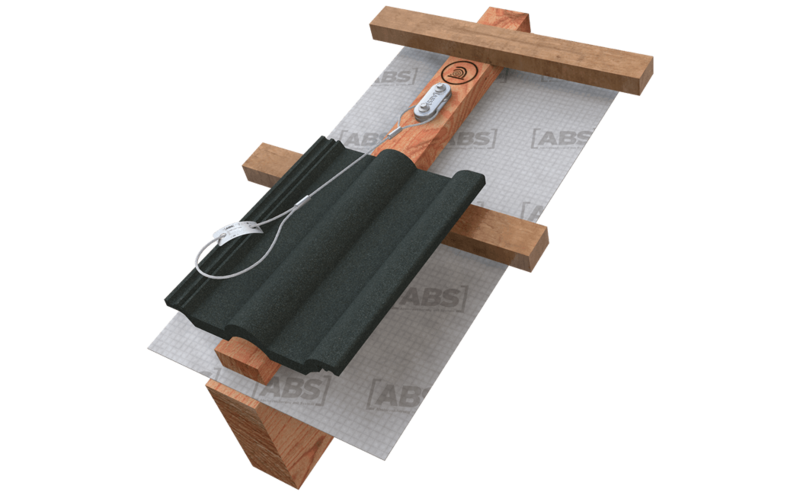 Are you on the lookout for an inconspicuous alternative to a standard roof hook? 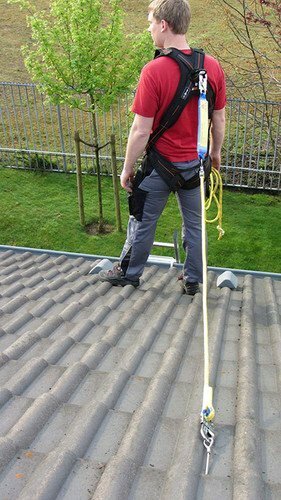 Our stainless steel ABS-Lock Loop anchor device secures up to 3 individuals whilst they are working on a roof surface. The stainless steel loop (Ø 5mm) is simply screwed onto a load-bearing wooden beam. Once installed, you can hardly see it. 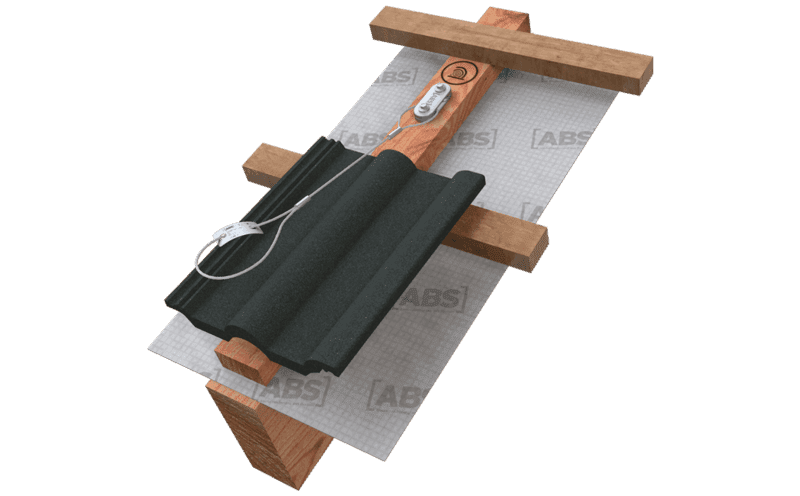 We recommend using this anchor loop with our specially designed PPE kit for roofers: Our ABS Roofer Kit includes a comfortable safety harness, a lanyard equipped with a rope shortener and integrated energy absorber, a tape sling and a practical protective bag. The anchor loop is installed using the 2 stainless steel screws included in the package. It also includes a laser-etched tab with information on all the relevant standards and specifications.